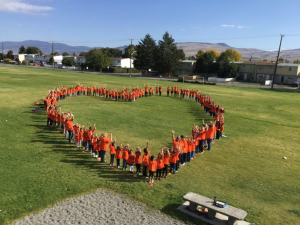 Diamond Vale Elementary School – Be the best you can be! Welcome to the community of Diamond Vale Elementary where we strive to "Be the Best We Can Be"! Working together with our parent community, we strive to offer each child a safe and supportive environment in which to foster the intellectual development of each child, develop and strengthen talents and build the skills necessary for a happy and productive life. We aim to educate the hearts and minds of our school community. Thank You!!!! Yesterday's Open House at Diamond Vale was a huge success!